With the summer holidays fast approaching and the current situation of being in the middle of an extremely hot and sticky heatwave, I knew that a pair of shorts were exactly what I needed to make. When I saw this lovely gingham fabric from Minerva Crafts, the heat and the need for shorts and a want for a paperbag waist all combined within my mind to create these. Initially, I planned to use the Megan Nielsen Flint pattern to sew these shorts, but the copy that I have ordered isn't going to arrive for a while and the aforementioned heat/need for shorts/ paperbag waist coveting combination called for some pattern hacking. The pattern hacking in question was actually relatively simple. I've used the Tilly and the Buttons Marigold pattern quite a few times in the past, and almost exclusively for pattern hacks. My absolute favourite (and most worn) hack has been my wide-legged trousers, and I basically wanted to make a shorts version of those. Obviously, the main adjustment that I made to the pattern in this case was to shorten it quite a bit. I also sewed the side seams with a slightly smaller than usual seam allowance so that they would be a bit wider. I was initially unsure how long to leave the shorts and managed to find the right proportions once they were finished. I think that the length of garments is so important to find exactly the right length so that the proportions are correct, and the main problem that I had with these shorts was that at first they looked too long despite being the right length. 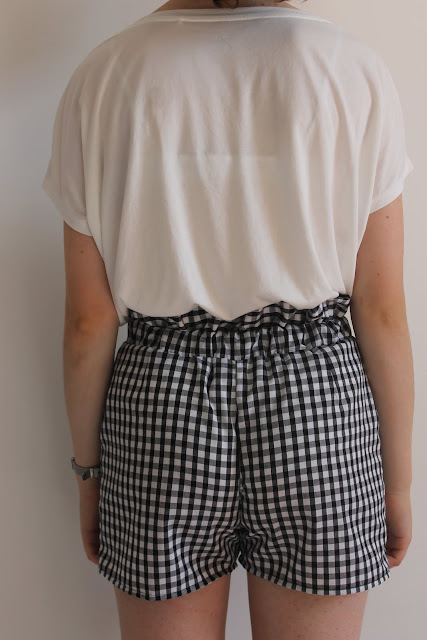 Because of the paper bag waist, the top of the shorts appeared to be much higher than my natural waist (even though the elastic was comfortably around my waist) and as I wanted to tuck my top in there just seemed to be too much of a gingham:plain t-shirt ratio. 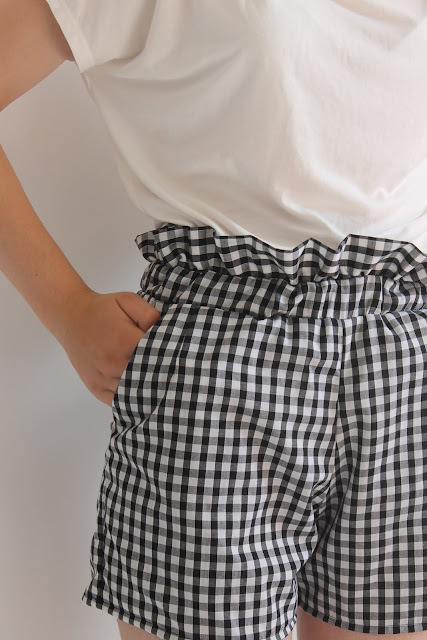 To fix the 'too much gingham' problem, I lowered the waistband by a further 1". I say by a further 1" because lowering the crotch seam is the first thing that I do when using the Marigold pattern, having now learnt that it is much too long for my liking. With this adjustment already in place the elastic was nicely positioned at my waist, so by lowering the waistband by 1" on top of this they elastic isn't in the most comfortable position that it could be in, but this doesn't bother me and I think that resulting lowered ruffle looks much better than it did previously. Other than the length, the other obvious change that I made to the pattern was to add a paper bag waist. I've seen a lot of them on high street clothing recently and it's been something that I wanted to try and recreate for a while. It was such a simple thing to do too - all I did was to measure the circumference the waistband pieces once they were cut and the side seams sewn and multiply this by 1.5. I then cut out a piece of fabric which was this length by a width of about 4". By sewing this rectangle together at the side seams, folding it wrong sides together and gathering it I was then able to sew a lined paper bag waist with the seams enclosed within the waistband. 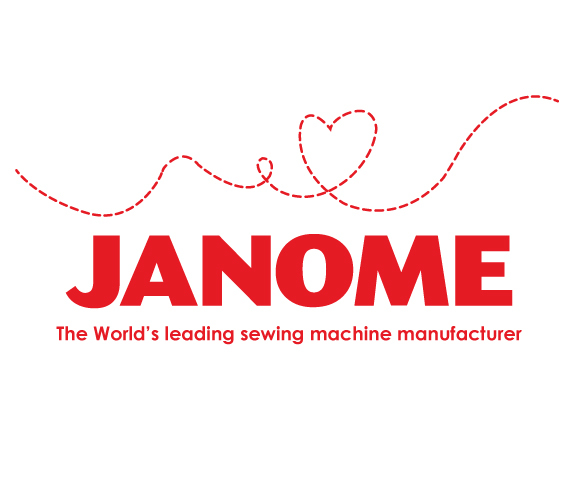 The instructions will state to sew the waistband and waistband facing together along the top right sides together; to add the ruffle, simply sandwich it between these two pieces and sew it all together at once. Although this is a gathered paper bag waist and I really like the style, I would also like to try sewing a pleated paper bag waist at some point, as I think that the lines would look really sleek and elegant. Initially, I planned to add a tie around the waist too, but once I added the paper bag waist I decided that it was busy enough with all the gathering going on and I'm glad not to have added that extra detail. There were a few worrying parts to making these shorts and I did wonder at times whether or not they would be wearable in public or if they would look too crazy, but I'm so happy I finished them because I really like them, and It's good to know that I can hack this pattern into shorts again. And of course I'm so pleased to have a pair of shorts to wear in this insane heat! For all of your doubts, I think that your shorts are stunning! I love the gingham, the length, and the paperback waist. Overall, it is very nice how you styled it. Gorgeous shorts well done, I just saw this over at Minerva. These are so cute! Love the little paper bag waist hack, very clever!